Job Description: I am responsible for the project management of multiple client accounts. I spend my time developing social media & digital advertising strategies to support growth for their business. I’ve always had a love for business. I majored in marketing at La Salle University in Philadelphia. My senior year of college, I had the opportunity to intern at Subaru of America’s Corporate headquarters, this is where my love f0r marketing grew. When I graduated, I moved to Dallas and worked from August 2012 to October 2017 at Overhead Door Corporation as a Digital Marketing Manager. During that time I also managed the Overhead Door brand co-op advertising program which exposed me to the world of advertising on a national level and gave me insight into what it takes to create successful advertising and brand awareness campaigns. How did you hear about Primitive Social? How and when did you get started? 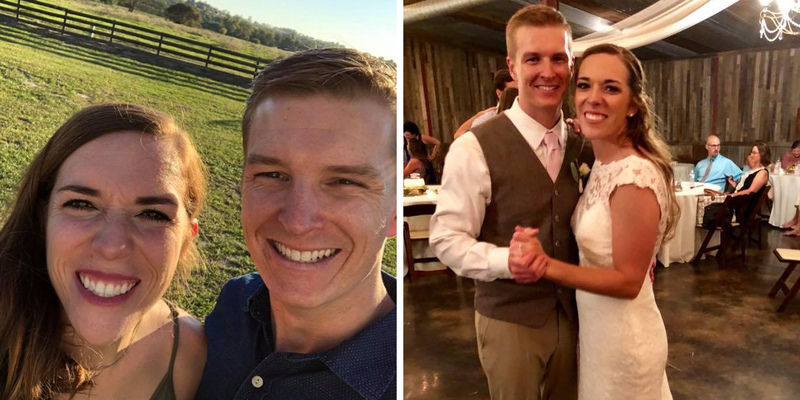 I moved to Lubbock from Dallas at the end of 2017 to be closer to my now wife. I worked with her sister in Dallas, so we met through her. My wife got her dream job in Lubbock (a high school softball coach), so when we were dating I decided to move to Lubbock. Once I moved here, we went to church with Kade and other people who work at Primitive Social so I reached out to Kade and shortly after that started at Primitive Social. How have you grown since your previous jobs? When comparing my time at Primitive Social to previous jobs the one word that resonates in my mind is growth. Personal growth and also growth in my knowledge of marketing. Working at Primitive Social with a team of creative experts in digital marketing challenges and pushes me to work hard on growing my expertise as a digital craftsman. 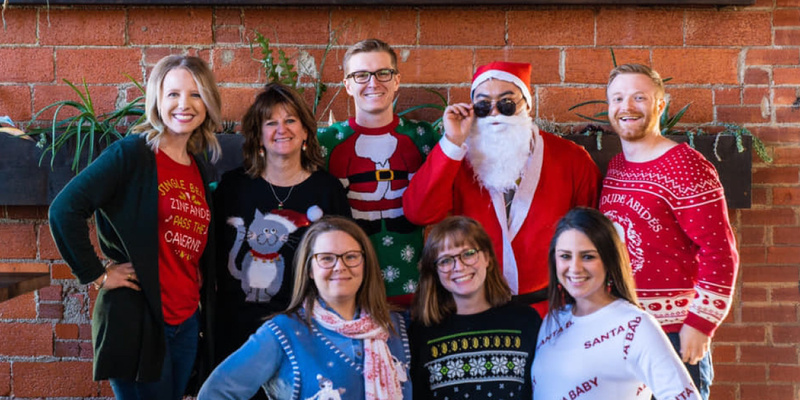 So what drew you to the Digital Account Manager role at Primitive Social? Working with a team of creative professionals, coming up with ideas, content, and strategy was something that I always wanted to be a part of, so the Digital Account Manager role seemed like a great fit. You manage a lot of clients, what are some tactics you use to stay on top of your emails, messages and replies? Communication is one of the most important parts of my job. I typically don’t like waiting on others for a reply so I assume clients don’t like waiting on me either. Therefore, my main tactic is to respond right away to clients and if it is something I can do for them quickly and effectively, then I do it right away. For me, when I see over 10-15 unopened emails in my inbox I can get overwhelmed so answering in a timely fashion is something I try to aim for. How do you stay motivated to come up with fresh ideas for your clients strategies? We don’t want to create a bunch of fluff for our clients which is why we aim to create content with a purpose. Our team works very hard to understand the goals of our clients, which motivates us to create excellent content to support those goals. Copywriter, Ruth Perkins and graphic designer, Rayann Ragland on our team both play a crucial role in keeping client content fresh. It’s easy to pump out the same content month-after-month but that’s not what is going to get good engagement and measurable results on social. What are some of your favorite projects you’ve worked on for clients? I don’t have a specific project that’s my favorite but what I really enjoy doing is looking at the data at the end of the month. Once at a marketing conference they asked the room to put their hands up and keep them raised if the statement they made was true for you. They asked how many days a week you check Google Analytics for clients starting with one day a week. By the time they got to 5 days a week, only a small portion of the rooms hands were still raised, I was one of them. Data tells a story and I enjoy being able to find that story for my clients. What you do like about the culture of Primitive Social? I’ve always been drawn to the philosophy that people are a business's most important asset and at Primitive Social, it’s important to leadership that the employees and clients are cared for. We have a lot of fun doing what we love and all the teams work extremely hard to serve our clients well. It’s this type of culture that makes the grind everyday worth it. What have you enjoyed about watching Primitive Social grow since you started? There’s a banner on the wall here at Primitive Social that says, “Comfort is a slow death.” Like most digital agencies, change is inevitable. Once you start to get complacent is when you stop growing. In the past year, I’ve enjoyed seeing us adapt to changes and push through adversity. Because of this, Primitive Social as a whole remains focused on continuously crafting our skills, amping up our creativity, and providing excellent service to our clients. Why are you committed to Primitive Social? It really comes down to the people I get to work with. I enjoy coming into the office every day. I know what it feels like to count down the minutes till the work-day is over but I’ve never had that feeling here. It’s hard work but it’s a lot of fun and it’s even better when you love the people you work with. What are you excited for in Primitive Social’s future? I’m excited about the continued growth and opportunities to serve clients all over the country in all types of industries. Primitive Social has come a long way in just a short amount of time and it’s exciting to see what’s next. My daily routine can change week to week or day to day depending on what I have going on but typically I wake up every morning around 6 and go to the gym. I’ll then eat some breakfast, feed the pups, read the Bible, read the news or check Facebook. When I get into work, I check emails and social accounts but from there every day looks different. Lately, when I get home, I’m working on some type of home project. My wife and I moved into an older home that needed some work so we enjoy doing that in our spare time. We like to joke and call ourselves the Chip and Joanna Gaines of Lubbock. My wife is a high school coach so a couple of nights during the week are also spent at the softball field cheering and supporting her team. What is your favorite type of music? What’s on your playlist right now? I love most types of music. From Country to Jazz. I listen to a lot of older country like Alan Jackson mainly because I love the stories the songs tell. I listen to a lot of Christian/worship music, especially to and from work. What about your favorite TV or Netflix shows? I really enjoy watching documentaries on history, culture and politics and for days when I want something fun and less serious, I watch baking shows (The Great British Baking Show) and mostly anything about nature. What are your other hobbies and interests? I love being outside. I’ll go mow the lawn and do yard work just to be outside. My wife and I enjoy working on house projects and gardening. I always try and stay active whether that be working out or playing tennis and racquetball. I’m grateful to be a part of a company that values a work-life balance. It’s very difficult to separate work and personal life but the most important thing I’ve learned over my short career thus-far is the ability to prioritize what’s important. For me, God, my wife, and family/friends are first, followed by work. If my relationships are not healthy outside of work, then my work will suffer. The ability to focus on serving and loving my wife when I get home is contingent upon the ability to physically and mentally disconnect from work. Are there days that work needs to be done at home? Of course. But everyday I try my best to work hard while at work so, at the end of the work-day, I can be engaged at home. I jumped out of a plane with my dad for his 65th birthday. This was my first jump and his second. 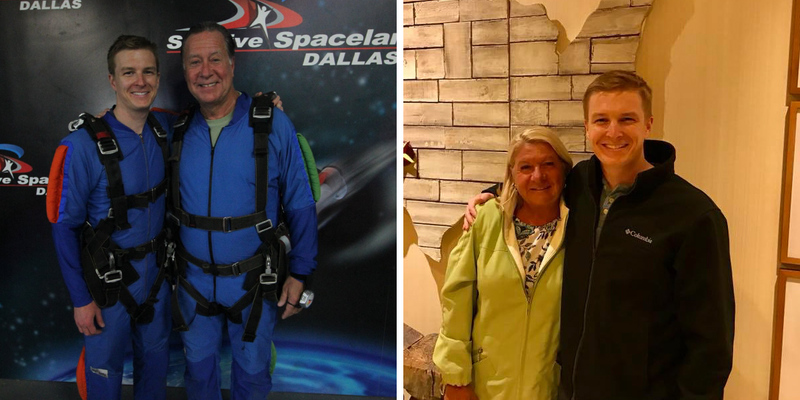 The first time he went skydiving was on his 60th birthday. I was pretty nervous the entire time until after we jumped. The ride up was probably the worst part and then standing at the door looking down was a bit terrifying. Once we jumped, the feeling of euphoria overtook me as I was flying through the air. It was amazing and it was a really special time my dad and I got to share. I admire my father. He showed me what it looks like to work hard and do the job right. He’s a perfectionist, not because he wants to be seen as perfect, but because he believes that if you’re going to do a job than you might-as-well do it the right way. I truly admire both of my parents. They’ve shown me what it looks like to love each other, love people, and love their family. If I’m honest, trying to stay motivated on my own usually doesn’t work very well. My motivation primarily comes from my faith. The first year of my career I was very focused on myself and when I wasn’t feeling like I was getting anything out of the work I was doing, I wasn’t very motivated to do it. I’ve learned that work is a gift from God and ultimately it’s not for us. We live in a very self-obsessed world which doesn’t translate very well to work. When we can grasp the truth that life, including work, isn’t about ourselves but it’s about others than we’ll find true and lasting motivation. The hard-work or lack of work you put in directly impacts others. It impacts your team and the company you work for. Discipline. A great quote to live by is this: “It was character that got us out of bed, commitment that moved us into action, and discipline that enabled us to follow through.” I don’t really have anything special other than a word that I have to constantly remind myself of. We typically know what it is we should be doing but we don’t do it because we’re not disciplined enough to follow through. I really enjoy reading about influential people in history and one of the things that stands out among almost all of them is they had a daily practice of discipline. Any other words of wisdom you would like to pass along? Take a chance and trust God. You’ll be amazed at what happens. Heather joined Primitive Social in December 2016 as Inbound Marketing Manager, bringing with her over 10 years of experience. 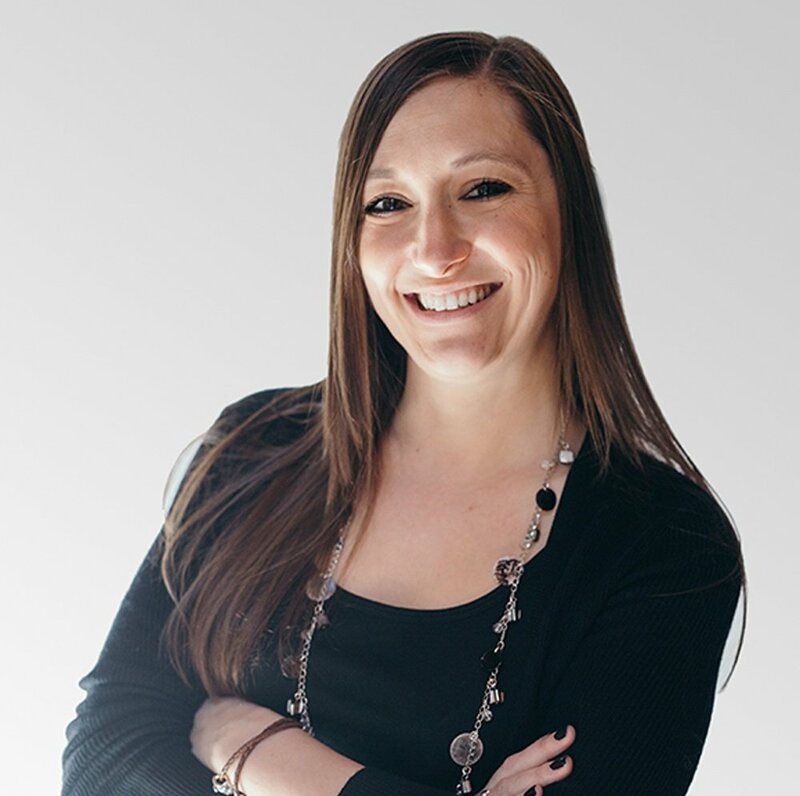 Heather holds a Bachelor’s degree in Communications and Media Arts and a Master’s degree in Business Administration with a specialization in Marketing. Heather resides in Colorado and uses her spare time to hike with her dog, spend time with family, or travel to new places.